Video Camera Line Inspection has grown to become a popular and valuable service for those in pump truck services and the plumbing industry. The video camera is a flexible rod that has a high-resolution camera at the end of it where the images are transmitted to a camera operator and recorded for viewing at a later time. This tool allows technicians to see inside sewer lines and pipes and has many benefits for business owners and homeowners alike. With the video camera, technicians are able to easily locate damage, cracks and other problems in the sewer lines and pipes. Instead of digging up the sewer lines, the video camera allows the property owner to save money and mitigate future emergency maintenance by discovering the problem ahead of time. Any foreign objects causing a blockage in your lines and pipes are also identifiable with the video camera. A video camera can be used to find valuable belongings such as jewelry that may have accidentally been dropped down a drain. If you are dealing with problems in your sewer lines and pipes, video cameras are a cost effective method that could potentially save money on repair bills in the future. This entry was posted in Video Line Inspection and tagged Catch basin cleaning, Food production waste removal, grease traps vancouver, Holding tank, Hydro flushing, Septic field cleaning, Septic Tank Maintenance, septic tank maintenance vancouver, Septic tanks, Sewer drain cleaning, sewer line flushing, sewer line flushing vancouver, Sewer line jetting, Storm drain cleaning on March 10, 2017 by Edenflo. The wastewater and sewage that leaves your home is going to go through the main sewage line. All of the wastewater will go through this line, from the water in the toilet to the water that goes through the washing machine. This is one of the main veins of your home’s system, and that’s why it is very important to make sure that the line is free of clogs and debris. If there were a clog in the sewer line, it would not take very long at all before the sewage started to back up into your home, and no one wants to contemplate that situation. Sewer line flushing can make sure that you do not have to go through this type of problem. The flushing of sewer lines will make sure that you do not have any clogs or debris. The powerful jets of water can remove the debris so that everything flows through your sewer line. You should contact the professionals who can take care of this type of problem at the first hint of trouble. In fact, you may want to have an inspection, even if you haven’t noticed any major problems yet. The inspection can ensure that you do not have any nasty surprises waiting for you in your home’s sewer line. Of course, residential homes are not the only ones that could have trouble with their sewer lines. Businesses may well have a sewer line in need of flushing, as well. If you have a backed up sewer line at work, chances are you will have to close your business until you remedy the situation. This means that you are going to want to have an inspection and receive sewer line flushing to remove any blockages that could be causing an issue with your plumbing. As you can imagine, this is a situation that you want to deal with immediately. The longer you wait, the worse it can become, and that means that repair costs and fixing the damage that it could cause to your home or business would be greater. With the high-powered flushing services for sewer lines available today, the professionals can clean the tank faster and more efficiently than in the past. Do not make the mistake of waiting too long before you have your main sewer line flushed. This entry was posted in Hydro Excavation and Flushing, Sewer Lines and tagged aging septic systems, aldergrove, burnaby, Food production waste removal, Food waste disposal, how to prevent aging septic systems, Hydro flushing, Hydro jetting, hydro jetting aldergrove, hydro jetting burnaby, hydro jetting delta, hydro jetting services, hydro jetting surrey, hydro jetting vancouver, hydro jetting white rock, hydrojetting, hydrojetting aldergrove, hydrojetting burnaby, hydrojetting delta, hydrojetting services, hydrojetting surrey, hydrojetting vancouver, hydrojetting white rock, preve, Septic field cleaning, septic field cleaning vancouver, Septic tank, Septic tank cleaning, Septic Tank Maintenance, septic tank maintenance vancouver, septic tank pumping vancouver, Septic tanks, sewer line flushing, Sewer line jetting, surrey, Vancouver septic tank cleaning, vancouver video line inspection services on October 20, 2012 by Edenflo. The cost of replacing an entire septic system is something that most people do not even want to consider. The price of replacing a system is many thousands of dollars and most do not have extra money that they want to use to spend on a new septic tank and system. Proper care for an aging septic system can help it last longer so that you do not have to go through the trouble and expense of replacement. First, you should make sure that you clean and maintain your septic system regularly. Even an aging septic system can work well. You usually have to make very few repairs as long as you have a quality system. The most important partw of caring for your system are cleaning and inspections to make sure that you are not getting to the point where you are going to have a problem. Second, make sure that you know what is going down your drains and into the system. Always make sure that you are not putting anything down the drains that is not safe. Depending on what goes into the drains and the system, it could cause damage. With proper care, you can add even more life to an already aging septic system. With a new system, it will ensure that the system lasts for many years. In some cases, especially those septic systems that are very old, you may not have a choice except to replace the system. If that’s the case, then you will want to make sure that you choose a high quality system and have professionals install it for you. Remember that you are going to have to have the cleaners come and remove the wastewater from your old tank before removal, too. It is true that the cost of the system is high, but when you have an aging septic system that is in dire need of replacement, you do not have much of a choice. Try to look at it as a good thing, though. You will know that you have a quality system in place that you will not have to worry about in the future, and you might even find that it can add value to your home. If you are going to sell your home in a few years, being able to let people know that you have a relatively new septic system in your home can help increase the sale price. This entry was posted in Aging Septic Systems and tagged aging septic systems, aldergrove, burnaby, Food production waste removal, Food waste disposal, how to prevent aging septic systems, Hydro flushing, Hydro jetting, hydro jetting surrey, hydrojetting, Septic field cleaning, septic field cleaning vancouver, Septic Tank Maintenance, septic tank maintenance vancouver, septic tank pumping vancouver, Septic tanks, sewer line flushing, Sewer line jetting, surrey, Vancouver septic tank cleaning, vancouver video line inspection services on October 15, 2012 by Edenflo. Those who are in the food business often have quite a bit of waste, and it can be difficult to get rid of the waste properly without the right help. Whether your business is in the industrial section of food production, or you have a restaurant, you have to make sure that you have the best organic waste disposal and grease trap cleaning service possible. Having a company that is going to be able to help you with both of these things and other areas of food service and production is a bonus. Your business needs to know what is going down the drain, and you need to have a way of controlling just how much grease and oil gets into the system. If you start putting grease and oil down your drains, there is a good chance that you could cause a clog in the system. It could cause the entire plumbing system in the building to back up. Imagine the havoc that this could cause! It could back up your drains and lines, and that could cause your business to have to shut down while you get things sorted with a plumber and sewer line cleaning service. Clogged drains can even cause flooding in businesses, which would mean even more when it comes to repair costs. When you have a business that works in the food service or production industries, you know that you need to have a grease trap installed to prevent these types of issues from occurring. However, you need to make sure that you clean these traps, as well. This is something that too many businesses are lax about, and that is where some problems start. You need to have quality grease interceptor cleaning service to make sure that oil, grease, and other items are not in the wastewater that goes down the drain because of an ineffectual trap. With all of the terrible things that can happen when you do not take the proper precautions about using proper grease traps and cleaning those traps, it is easy to see why it’s so important to have a good grease trap service. You want to have a company that will be able to come in, clean and maintain the traps, and make sure that you do not have a problem with too much grease, oil, and food debris running down the drains. This entry was posted in Commercial and Industrial, Food Waste Disposal and tagged aging septic systems, aldergrove, burnaby, Food production waste removal, Food waste disposal, how to prevent aging septic systems, Hydro flushing, Hydro jetting, hydro jetting aldergrove, hydro jetting burnaby, hydro jetting delta, hydro jetting services, hydro jetting surrey, hydro jetting vancouver, hydro jetting white rock, hydrojetting, hydrojetting aldergrove, hydrojetting burnaby, hydrojetting delta, hydrojetting services, hydrojetting surrey, hydrojetting vancouver, hydrojetting white rock, preve, Septic field cleaning, septic field cleaning vancouver, Septic tank, Septic tank cleaning, Septic Tank Maintenance, septic tank maintenance vancouver, septic tank pumping vancouver, Septic tanks, sewer line flushing, Sewer line jetting, surrey, Vancouver septic tank cleaning, vancouver video line inspection services on October 4, 2012 by Edenflo. Cleaning and maintaining septic tank systems is no easy feat, but with the right knowledge and the right types of equipment in the hands of professionals, it is far more manageable. The power of high pressure jetting and flushing can help to keep septic tanks in much better shape and can help to prolong their lives. When it comes to pumping out unwanted water in an area, the equipment in use is just as important, which it is why it is vital to work with only companies that make use of the best tools. One of the most helpful trucks in the fleet is the Lowboy, which is a low profile vacuum truck that has a high pressure jetting system in it. Because of the design of this vehicle, the professionals are able to reach areas that they just would not have been able to with other types of equipment. Another one of the vehicles that is a part of the fleet is the Combo Truck. As one can guess by the name, this vehicle is able to do quite a few different things, and it can do all of them quite well. 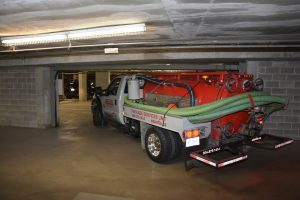 The Combo Truck offers high pressure flushing service, as well as hydro excavating. Because of the larger size that the Combo Truck offers, it means that it is possible to store and collect more debris and water without the need to empty. Here are a few examples of what the Combo Truck can do. The truck offers a fast way of removing water from areas, and it can even help with the creation of water features, such as ponds. The truck makes cleaning basins and sumps much easier, as well. The high pressure flushing feature of the trucks makes cleaning sewer and drain lines much easier, as well, and they can clean lines from 1.5 inches in diameter all the way to 8 feet in diameter. No matter the size of the problem, chances are these trucks can handle it, and they can help to save time and money. Of course, the machines are only as good as the people who are running them. 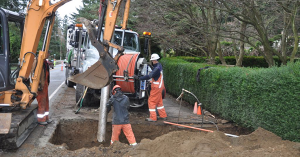 It is always important to make sure that the company working on sewer lines or hydro excavation has all of the training and skill to do the job properly. Without the right people, the right equipment means nothing. This entry was posted in Hydro Excavation and Flushing and tagged aging septic systems, aldergrove, burnaby, Food production waste removal, Food waste disposal, how to prevent aging septic systems, Hydro flushing, Hydro jetting, hydro jetting aldergrove, hydro jetting burnaby, hydro jetting delta, hydro jetting services, hydro jetting surrey, hydro jetting vancouver, hydro jetting white rock, hydrojetting, hydrojetting aldergrove, hydrojetting burnaby, hydrojetting delta, hydrojetting services, hydrojetting surrey, hydrojetting vancouver, hydrojetting white rock, preve, Septic field cleaning, septic field cleaning vancouver, Septic tank, Septic tank cleaning, Septic Tank Maintenance, septic tank maintenance vancouver, septic tank pumping vancouver, Septic tanks, sewer line flushing, Sewer line jetting, surrey, Vancouver septic tank cleaning, vancouver video line inspection services on September 28, 2012 by Edenflo. This entry was posted in Aging Septic Systems and tagged aging septic systems, aldergrove, burnaby, Food production waste removal, Food waste disposal, how to prevent aging septic systems, Hydro flushing, Hydro jetting, hydro jetting aldergrove, hydro jetting burnaby, hydro jetting delta, hydro jetting services, hydro jetting surrey, hydro jetting vancouver, hydro jetting white rock, hydrojetting, hydrojetting aldergrove, hydrojetting burnaby, hydrojetting delta, hydrojetting services, hydrojetting surrey, hydrojetting vancouver, hydrojetting white rock, preve, Septic field cleaning, septic field cleaning vancouver, Septic tank, Septic tank cleaning, Septic Tank Maintenance, septic tank maintenance vancouver, septic tank pumping vancouver, Septic tanks, sewer line flushing, Sewer line jetting, surrey, Vancouver septic tank cleaning, vancouver video line inspection services on September 18, 2012 by Edenflo. An aging septic system can have quite a few problems. It is true that proper and professional cleaning can help make a system last longer, but that does not mean that no problems will arise. If you find you are having trouble with your aging septic system, cleaning and pumping might not be the right solution. You have to make sure that this is not going to cause any more damage to your tank. In some cases, you might not want to clean your septic system without more of an inspection. The inspection from the pumping company is going to be able to help make sure that the system is okay and ready for cleaning. In the case of an aging septic tank, one has to be very careful when it comes to cleaning and pumping. Very old tanks could actually collapse and cause sinkholes in the yard that can become deadly. Pumping out these old tanks has to happen very carefully. If a professional doesn’t vacuum slowly and carefully, it could actually cause those tanks to cave in because of the pressures in the tank. Only professionals should handle the cleaning and vacuuming of old tanks, or newer tanks for that matter. The septic tank system is certainly one of the most important parts of your home, and you have to make sure that it is in good shape. This is true whether you are selling the home or keeping the home. If you have a business, then you have to make sure that your aging septic tank is still in good shape, too. This means that you have to take care of your system properly with regular pumping and cleaning. This can help to increase the life of aging systems. Of course, there may come a time when you have no choice but to replace your aging septic system. In these cases, you do not want to delay. Waiting too long when you need to have a new system can be disastrous. The last thing you need is for your aging septic system to break down, leak, and cause expensive cleanup, not to mention potential health issues. By having professionals come to your home and inspect your system, and cleaning with regularity, you can extend your system’s life. The septic system is an area of home ownership you should never neglect because of the dangers and the costs involved with it. This entry was posted in Aging Septic Systems and tagged aging septic systems, aldergrove, burnaby, Food production waste removal, Food waste disposal, how to prevent aging septic systems, Hydro flushing, Hydro jetting, hydro jetting aldergrove, hydro jetting burnaby, hydro jetting delta, hydro jetting services, hydro jetting surrey, hydro jetting vancouver, hydro jetting white rock, hydrojetting, hydrojetting aldergrove, hydrojetting burnaby, hydrojetting delta, hydrojetting services, hydrojetting surrey, hydrojetting vancouver, hydrojetting white rock, preve, Septic field cleaning, septic field cleaning vancouver, Septic tank, Septic tank cleaning, Septic Tank Maintenance, septic tank maintenance vancouver, septic tank pumping vancouver, Septic tanks, sewer line flushing, Sewer line jetting, surrey, Vancouver septic tank cleaning, vancouver video line inspection services on September 14, 2012 by Edenflo. A septic holding tank is a watertight tank that catches and contains the wastewater that comes from a home or a business. 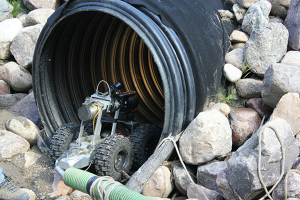 While most businesses and homes are going to have a connection to sewer lines, sometimes this is not possible because of the location. Those who are out of town may not have access to the sewer lines, and this means that they are going to need to have one of these septic holding tanks. This also means that they need to keep those tanks clean and in good condition if they do not want to have a huge mess on their property. All of the wastewater that comes from the home or business needs to be in the holding tank until it can go for treatment or disposal. Because the tanks need to carry all of the water that comes from your home or place of business, they will often fill up quite quickly. Depending on the size of your tank and the number of people using water, you may need to have someone come, pump the tank, and clean it regularly. You do not want to wait too long; otherwise, you can have an overflow or a backup of the system. It can also damage your tank. Some people choose to have an alarm on their septic holding tank that will alert them when the tank is 75% full. This ensures that you know when you need to have the professionals come out to your house and remove your wastewater from the holding tank. Using low flow systems in your plumbing is one of the ways that some people are reducing the amount of wastewater that goes into the tank. This can help to reduce the frequency of your cleanings, and it is something that you may want to consider. With regular inspections and cleaning, you can be sure that your tank remains clean and in good condition. You will not have to worry about overflows or a system that backs up. It is always important to have professionals who know their business to come, inspect your tank, and perform the cleaning. With the state of the art trucks and equipment that are available now, it is possible for them to do the cleaning and pumping of the septic holding tank quite quickly. Never wait too long between pumping for your tank or you might regret it! This entry was posted in Aging Septic Systems, Septic Tanks and Field Cleaning and tagged aging septic systems, aldergrove, burnaby, Food production waste removal, Food waste disposal, how to prevent aging septic systems, Hydro flushing, Hydro jetting, hydro jetting aldergrove, hydro jetting burnaby, hydro jetting delta, hydro jetting services, hydro jetting surrey, hydro jetting vancouver, hydro jetting white rock, hydrojetting, hydrojetting aldergrove, hydrojetting burnaby, hydrojetting delta, hydrojetting services, hydrojetting surrey, hydrojetting vancouver, hydrojetting white rock, preve, Septic field cleaning, septic field cleaning vancouver, Septic tank, Septic tank cleaning, Septic Tank Maintenance, septic tank maintenance vancouver, septic tank pumping vancouver, Septic tanks, sewer line flushing, Sewer line jetting, surrey, Vancouver septic tank cleaning, vancouver video line inspection services on August 28, 2012 by Edenflo. A grease trap is a receptacle that channels wastewater from the kitchen directly to the sanitary sewer lines. Regular cleaning of grease traps prevents overwhelming buildup of grease and is essential in order to ensure its continued efficiency. Clogging and frequent back-ups in grease traps are usually the outcome of improper maintenance and cleaning practices or the general lack of them. Moreover, or outdated cleaning practices such as pumping are also ineffective when addressing clogging problems. Reiterating our commitment to providing best cleaning solutions to distressed clients, Edenflo uses modern high-pressure water jetting technology to rid grease traps of oil and grease deposits. Mounted on our fleet of state-of-the-art multi-purpose pump trucks, the jetting system effectively bombards grease traps with pressurized and heated water to clean even the toughest oil and grease deposits. Jetting is also effective in unclogging certain inaccessible areas where a power snake fails to reach. Although grease trap waste largely consists of water, food waste and other products are also found in them and these are difficult to recycle. Our multi-purpose pump trucks are mounted with a high-pressure vacuum pump that collects these substances so that they can be easily transported and disposed of in an appropriate place. This way, we provide our clients with an eco-friendly alternative to conventional grease trap cleaning services while guaranteeing 100% service satisfaction. And because our modern high-pressure jetting system is truck-mounted, it is extremely mobile, promising the quickest response to distress calls. We also provide our clients with an immediate response through our 24-hour emergency helpline. Our services are available to clients residing in Vancouver and in the surrounding areas. This entry was posted in Food Waste Disposal and tagged aging septic systems, aldergrove, burnaby, Food production waste removal, Food waste disposal, how to prevent aging septic systems, Hydro flushing, Hydro jetting, hydro jetting aldergrove, hydro jetting burnaby, hydro jetting delta, hydro jetting services, hydro jetting surrey, hydro jetting vancouver, hydro jetting white rock, hydrojetting, hydrojetting aldergrove, hydrojetting burnaby, hydrojetting delta, hydrojetting services, hydrojetting surrey, hydrojetting vancouver, hydrojetting white rock, preve, Septic field cleaning, septic field cleaning vancouver, Septic tank, Septic tank cleaning, Septic Tank Maintenance, septic tank maintenance vancouver, septic tank pumping vancouver, Septic tanks, sewer line flushing, Sewer line jetting, surrey, Vancouver septic tank cleaning, vancouver video line inspection services on July 25, 2012 by Edenflo.